Zula Beach Cottage is a small studio style cottage which is on the beach. It is self-contained with lovely beach views. <br /><br />The beach is 15 meters from the front door. This self-contained studio cottage is a beautiful open plan space. The studio consists of a fireplace, two lounge chairs, DStv, a wardrobe, a bed which can either be made into a king bed or two twin beds. <br /><br />We supply linen and beach towels. There is a small dining room table. A self-contained kitchenette is separate from the main room. The kitchenette has a mini fridge, a microwave, a stove with oven, crockery and cutlery. There is a gas barbeque.<br /><br />No open fires are permitted anywhere on the property. We allow up to two domestics dogs. Please note there is a surcharge of R200 per dog payable in cash on arrival to the housekeeper.<br /><br />Zula Beach Cottage is on the deserted Langstrand at Mosselbank. There are uninterrupted views. Small fishing vessels leave here every morning at dawn and returning at dusk with the catch of the day. Paternoster lies virtually in the Columbine Nature Reserve where displays of wildflowers in spring are unsurpassed. 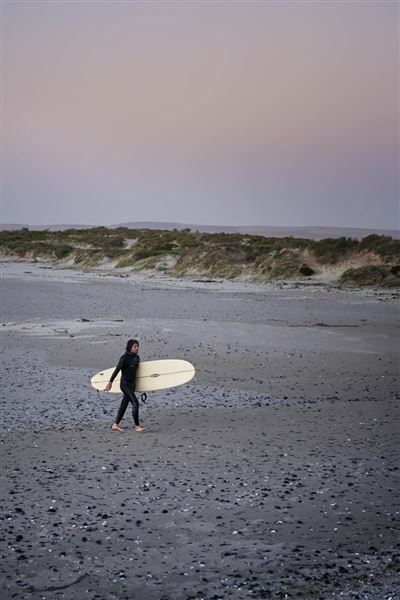 "The scenery, beach walks and lovely restaurants in Paternoster"
"The beach walks, beautiful views and excellent food. Was dissappointed to find that Zula Beach Cottage is right next to a public parking area and walkway to the beach. No privacy (as in the cars park next to the cottage garden wall spoiling the view and public can look straight into the bedroom. ) To make matters worse, the area is used for the building rubble of building activities on the other side of the walkway. Had to put up a a TLB working the whole Saturday." "The ocean, loud and clear, beautiful to fall asleep to. The cottage was neat, comfortable and lacked nothing. Well deserving of your visit." "The time of our life, it couldn&apos;t have been better." "The location, the sound of the ocean, just loved it all and will definitely be back. Everything provided and well thought out. Thank you!" "It would be nice to have a couch / sofa of some sort to sit on at the stove. Inconvenient to sit on the bed." "The fact that it was close to the sea/beach. and good restaurants." "We have enjoyed our stay very much. Nice and clean , it is right on the beach. Made a nice fire to warm the place up. Do recommend . The matres is a bit on the hard side." "Fantastic place...would go back again..x"
"Piece of Heaven on Earth"
"Nothing in front of us but the Sea and beach"
"The indoor fire and the wonderful view." "we really enjoyed having both inside and outside living space, the comfort of the fire and the amazingly close access to the beach.the enclosed outside area for the dog was also a plus." "I loved the peacefulness and stunning view from the cottage! If you are looking for accommodation on the beach this is as close as it gets. Loved falling asleep to the sound of the waves! Neat and very cosy cottage! Awesome stay!!!" 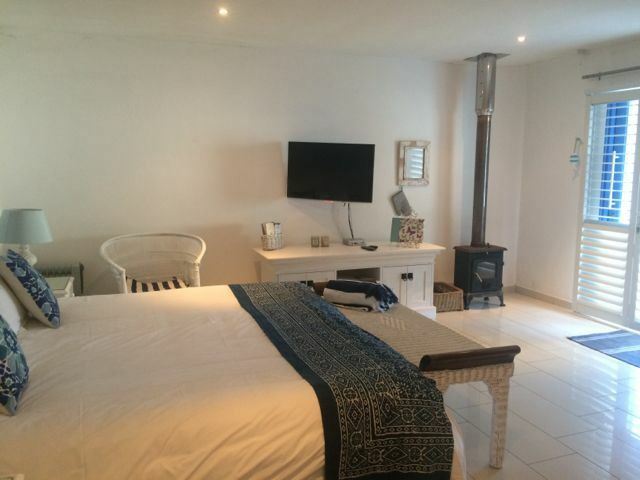 "Loved everything about Zula Beach Cottage. Its cleanliness, everything that you need for comfort is there. Peace and quiet! great location and awesome view."